Many people are not familiar with Tibetan singing bowls also called Himalayan Singing bowls, and they’re missing out. The rich tone from a Tibetan singing bowl soothes and relaxes, not to mention it’s an enjoyable musical instrument to learn to play. You won’t be playing scales on it mind you. 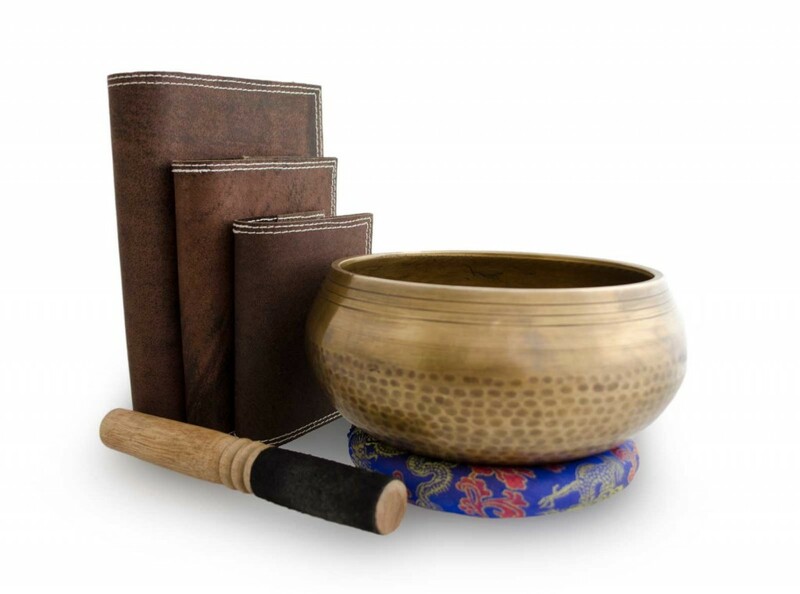 The Tibetan singing bowl gives a clear tone like a bell, but tapping the bowl with the mallet is just the first way to play a tone on the bowl. The bowls are used to signal the beginning/end of a meditation session, for relaxation from the beautiful sound, to call to prayer (and to even get the kids to settle down). The tone can be made by gently striking the mallet on the side of the bowl which causes a deep singing sound similar to a bell. But that’s not the only way the bowl can make the sound. By pressing the felt end of the mallet against the bowl and circling evenly (that’s important), the bowl will intone its note and sing as long has you maintain the pressure of the mallet circling the bowl. The bowls come in different sizes (some large enough for a person to step into. Our bowl was made in Nepal and is 6.5 inches across the top and about 8 inches at its widest. We use it every day. Even though called a Tibetan singing bowl, many of them are made in Nepal. That’s why “Himalayan singing bowl” is a better name for the bowls. I use my Nepali Recorder journal to write thoughts from the seven, a morning thought exercise. Quietly toning the singing bowl in the morning before the exercise is a nice way to get started. We’ll also use the singing bowl at the end of the day to get the kids calmed down, and it works…mostly.